June 25th, 2015: This Canada Day Canadians in every province will have the opportunity to celebrate with a very special beer. It’s called the Coast to Coastless Imperial ESB, and it’s a collaborative effort from four Canadian brewers to celebrate the spread of the craft beer movement from coast to coast–and all of the provinces in between. Garrison Brewing Co. (NS), Microbrasserie Le Trou du Diable (QC), Flying Monkeys Craft Brewery (ON) and Phillips Brewing Co. (BC) all participated in the ‘quad-laboration’, coming together to craft a recipe designed to reflect Canada itself. 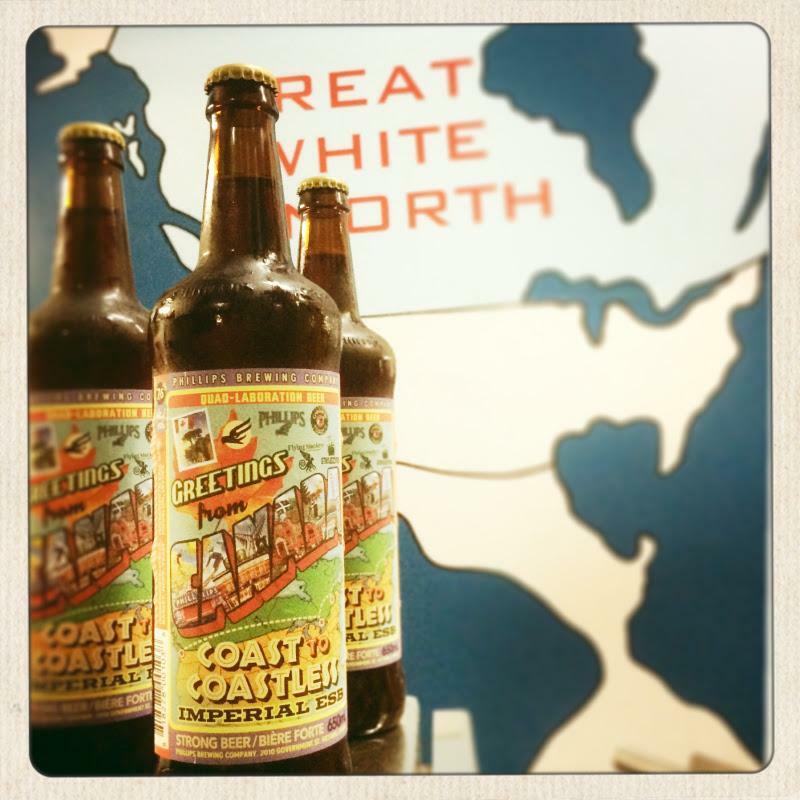 It is an Extra Special Bitter, a style with roots that trace back to England, but as an amped up imperial version it has a strong spirit that is purely Canadian. A hefty body, full of biscuity and caramel malts is edged with earthy tea-like hop character. It is robust enough to pay tribute to the size of our country with the creative flair emblematic of the craft beer industry.